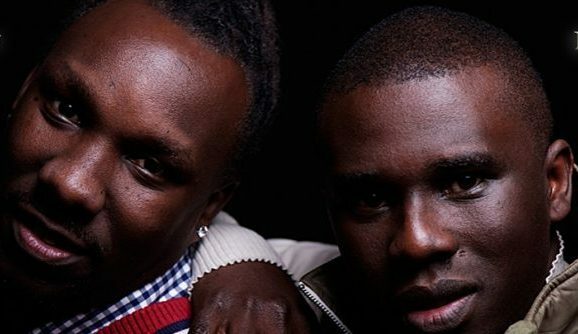 The Ganda Boys (formerly known as Da Twinz) was formed during 2008 through an exciting collaboration on the highly acclaimed 2009 BBC-TV drama series, MOSES JONES. Denis Mugagga, Daniel Sewagudde and Craig Pruess immediately found that they had a special sound and style together – and that they could write lots of songs as a team (so easily) and the result was immediate, soulful, amazing and rewarding. Forced to flee Uganda in 2001, Denis Mugagga and Daniel Sewagudde acquired refugee status in the UK having endured a relocation process that lasted several years. As young musicians from a turbulent Ugandan homeland they experienced first-hand the hardship of re-establishing their lives in a foreign system, leaving family, friends, and their budding hopes behind. They found strength while meeting many other refugees along their journey and became committed to addressing the current unprecedented flow of over 60 million displaced people from several troubled countries in the world. UK based Ugandan singers DENIS MUGAGGA and DAN SEWAGUDDE (formerly of Da Twinz fame) have teamed up with UK world musician, arranger, record producer and film composer, CRAIG PRUESS, to form a new and exciting band, the GANDA BOYS. On top of that, the three Ganda Boys have started the GANDA FOUNDATION, their charitable organization for raising money for social programs to combat poverty in the Third World – starting with raising funds and providing equipment for Ugandan hospitals and schools in need.